Yu-Gi-Oh! 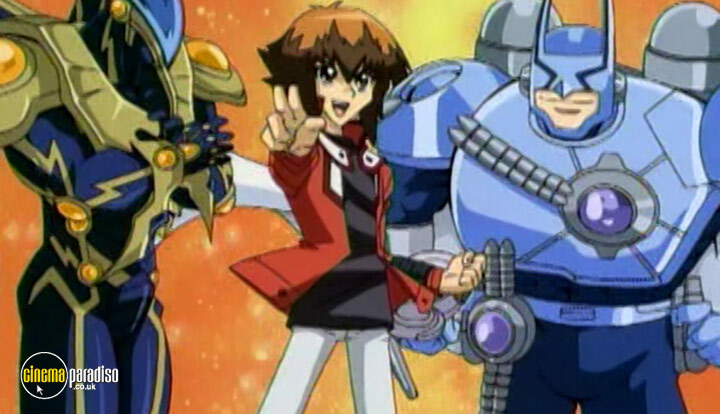 GX is a Japanese animated action, adventure and fantasy TV series that acts as a semi-spinoff of its predecessor Yu-Gi-Oh! Duel Monsters series. 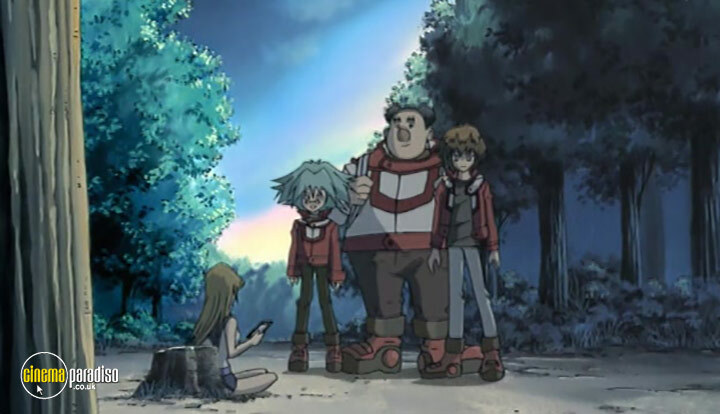 The plot is set several years after the original events and sees a young boy named Jaden while he tries to find his place in the world inhabited by digital monsters and human friends and foes - all during his student years at the respected Duel Monsters academy. 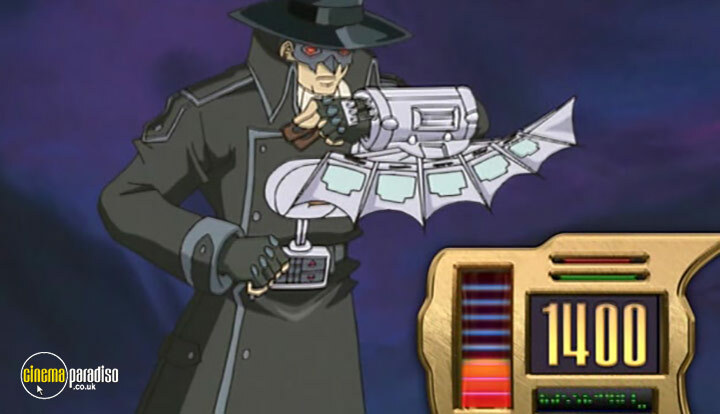 Set several years after the previous Yu-Gi-Oh! 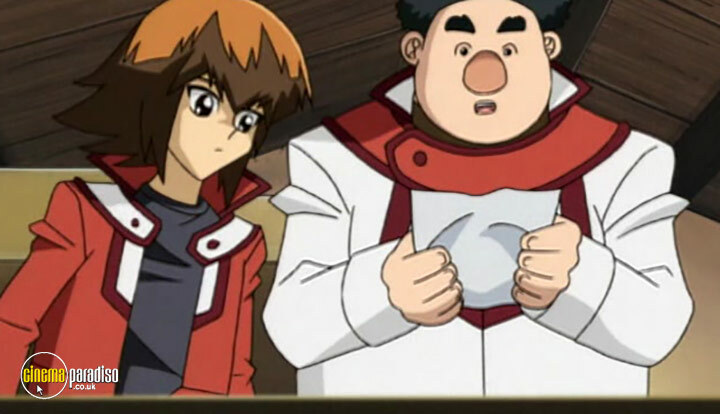 series, GX follows a new generation of duelists at the prestigious Duel Academy - a highly competitive boarding school where pencils and books have been replaced by Duel Disks and monster cards! Still, it's not just about making the grade for these up-and-coming students - it's about becoming the next King of Games! 38. Get Yara Game On! 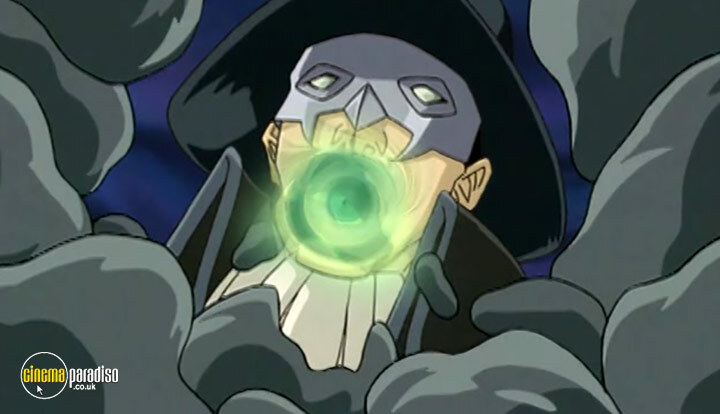 Jaden is back with his friends to continue his training at the world's most prestigious dueling school! 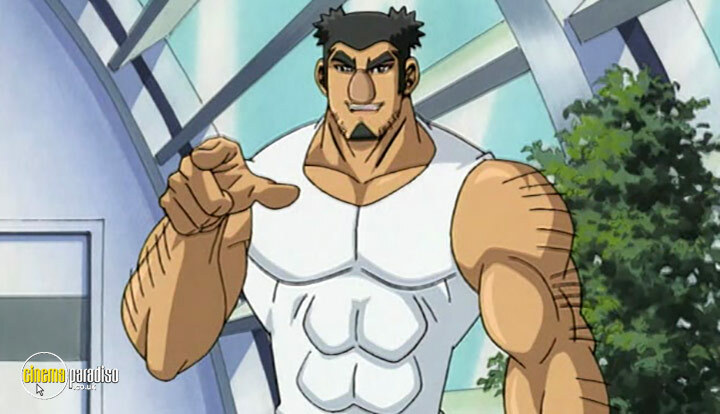 It's year two at duel academy, and this semester is more intense than ever! 29. Let's Make a Duel! 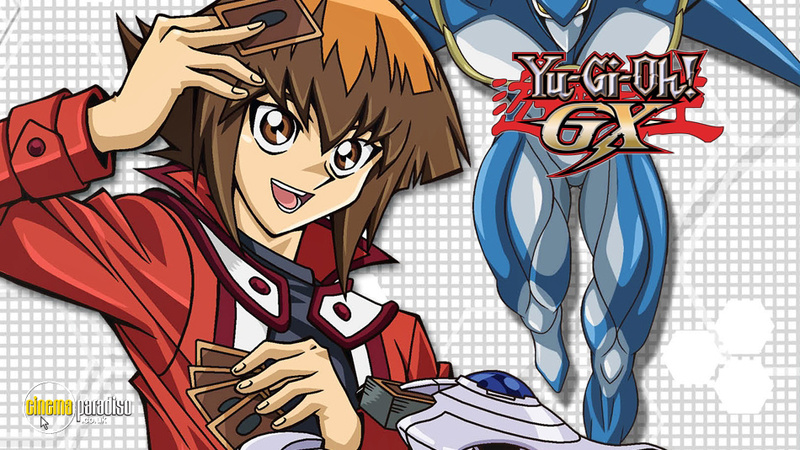 Third season of the anime spin-off and sequel to the original 'Yu-Gi-Oh!' anime, containing episodes 105-155. 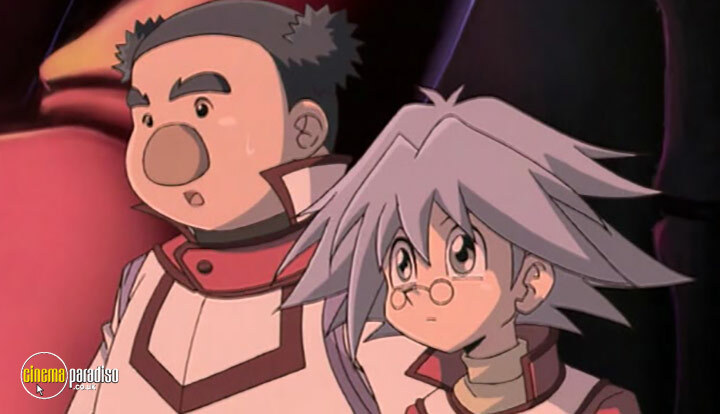 Set a generation into the future, the series revolves around a boy named Jaden Yuki (voice of Matthew Charles) as he begins his life at the new Duel Academy on a stretch of remote coastline in Japan, established so that students can train to become master duelists. 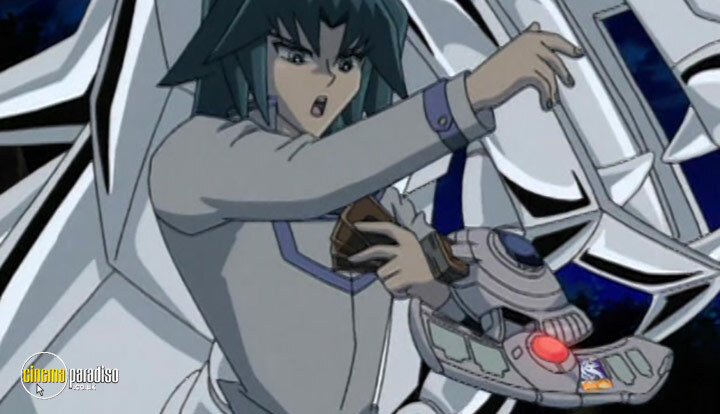 Despite his natural gift for duelling, Jaden is initially put into the lowest rank of Osiris Red, but he continues to test his skills against the students and faculty to prove his worth as a Yousei Duelist and earn the respect of everyone around him. The episodes are: 'Third Time's a Charm', 'Jewel of a Duel: Part 1', 'Jewel of a Duel: Part 2', 'Hanging With Axel: Part 1', 'Hanging With Axel: Part 2', 'Primal Instinct', 'Head in the Clouds: Part 1', 'Head in the Clouds: Part 2', 'Win Mr. Stein's Duel: Part 1', 'Win Mr. Stein's Duel: Part 2', 'Trapper Keeper: Part 1', 'Trapper Keeper: Part 2', 'A Snake in the Grass: Part 1', 'A Snake in the Grass: Part 2', 'A Snake in the Grass: Part 3', 'Inter-Dimension Detention', 'Sub-Desert Duel', 'The Night of the Living Duelists', 'School Ghoul Duels', 'Triple Play: Part 1', 'Triple Play: Part 2', 'Return of the Sacred Beasts', 'Breaking of the Sacred Seal', 'A Dimensional Duel', 'Unleash the Dragon: Part 1', 'Unleash the Dragon: Part 2', 'All for One', 'A New World Order', 'Friend Or Fiend', 'Dueling With the Dark Army', 'Turning the Page: Part 1', 'Turning the Page: Part 2', 'The State of Syrus', 'The Darkness Is Revealed', 'A Sight Unseen: Part 1', 'A Sight Unseen: Part 2', 'What Lies Beneath: Part 1', 'What Lies Beneath: Part 2', 'What Lies Beneath: Part 3', 'The Forbidden Ritual: Part 1', 'The Forbidden Ritual: Part 2', 'Conquering the Past: Part 1', 'Conquering the Past: Part 2', 'Conquering the Past: Part 3', 'The Ultimate Face-Off: Part 1', 'The Ultimate Face-Off: Part 2', 'The Power Within: Part 1', 'The Power Within: Part 2', 'Return of the Supreme King: Part 1', 'Return of the Supreme King: Part 2' and 'Return of the Supreme King: Part 3'.